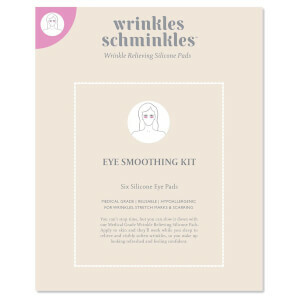 Have you seemingly tried everything when it comes to wrinkle prevention, to no avail? Don’t give up on your youth just yet! Using the latest in anti-ageing technology, Australian brand Wrinkles Schminkles have developed a range of silicone pads that can be adhered to the skin as you sleep. The benefits are boundless, and just a few weeks of use are sure to leave your complexion looking and feeling smoother than ever before! Simply stick ‘em onto your problem areas and reap the rewards--it’s that simple! If you’re wondering what silicone stick-ons can do for your skin, though, you’re not alone. Even the team behind Wrinkles Schminkles can acknowledge that prior to development, this was a practically unheard-of concept! Silicone has a multitude of effects on the skin that are amplified when sleeping. Firstly, they prevent against creasing caused by bedsheets, pillows and more, meaning that wrinkles aren’t being spurred on as you slumber. Silicone is also excellent at locking in hydration, allowing your body to hold more moisture (another wrinkle killer!). Finally, silicone helps to increase blood flow in the body, and tip-top circulation means fewer fine lines. In short--silicone is a miracle ingredient. With a wide range of products tailored to various areas of the body, including for on the face, decolletage and neck, you can ensure that wrinkles are stopped firmly in their tracks. Sagging, fine lines and loss of elasticity will also be targeted with regular use. Plus, lock in these widespread benefits with the Wrinkles Schminkles Morning After Glow Serum! When you wake up, remove your silicone pads and apply your serum to the areas, letting key ingredients including Resveratrol get to work. Smooth, soft and wrinkle-free skin awaits you! 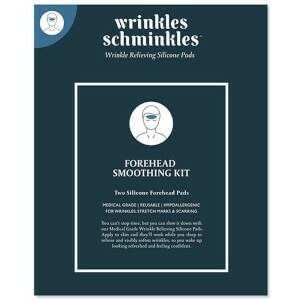 Shop Wrinkles Schminkles today with Facial Co, your authorised Australian stockist. Claim free shipping on all orders over $99.